Happy Friday!! 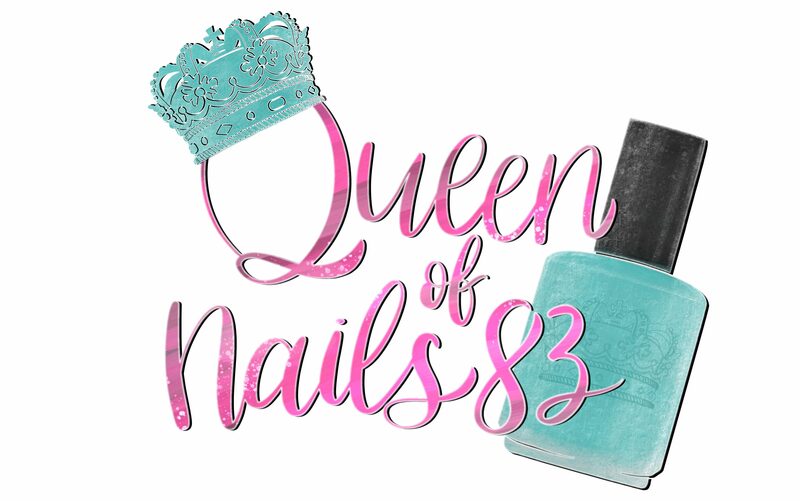 I know you thought you were going to be reading an amazing post on challenge nails or an inspiration mani because of what my Posting Schedule indicates buuuut instead I have something 10x more fun…promise! Here we are, the end of September but the party is not ending, it’s just beginning. I’m really in love with this post because the awesome box that I am showing you today brings me a since of nostalgia. Born in the 80s, growing up a young girl meant one thing, Lisa Frank! Lisa Frank dominated as the queen of bright, rainbows, neon dolphins, puppies and stickers. I remember in elementary and middle school all my school supplies had to be Lisa Frank. Even today, she continues her reign because now my girls, 9 and 5 want all things Lisa Frank. This box warms my heart and I’m delighted to bring you the newest, Lisa Frank inspired, AwesomeSauce Box. Stargazer is a full coverage silver glitterbomb, jam packed with different shapes in multiple colors. Side note, you may want to apply an extra coat of topcoat to smooth out the glitters. As you can see, this box is a lot of fun and a great representation of what Lisa Frank is all about, the makers did a great job! But I didn’t even show you the extras….yet! 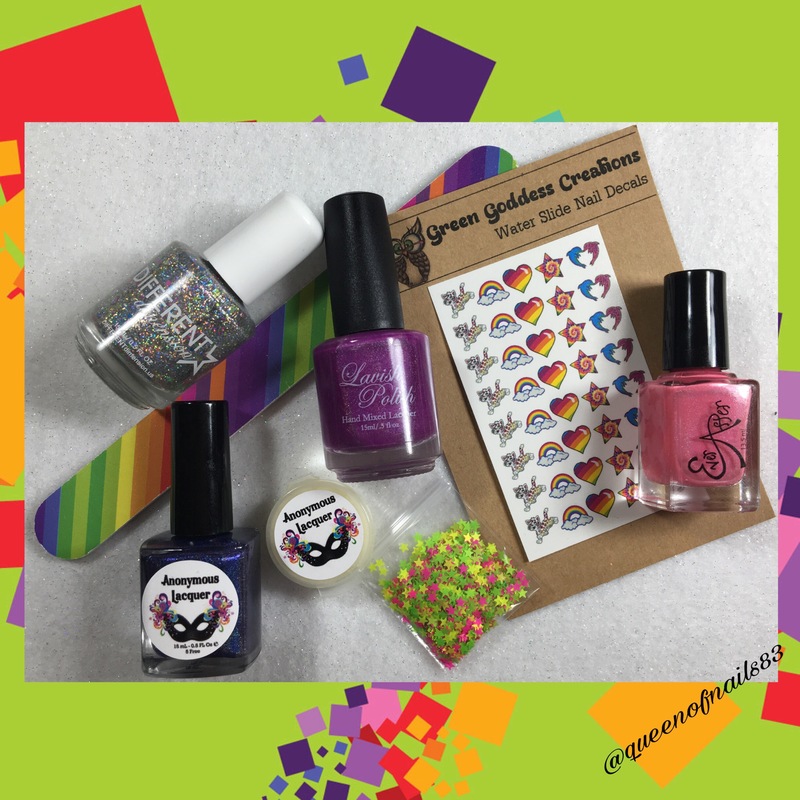 Yes, this box comes with a few extra goodies that will take your mani from drab to fab. Now, let’s talk about how you can get it! Set your alarm for tonight *next Friday, Oct 7 at 8pm EST to grab this box for only $40 full size / $22 mini + shipping. It will be on sale through 10/8 *10/15 @ 8pm EST. Tune into my IG, I’ll be showing some fun manis I did with this box!! Thanks for making this another exciting month…you in October!!! *Change in dates. These date changes were made after the post was published. everytime I say awesomesauce, my kids roll their eyes. Never heard of Lisa Frank but she seems mega fun! Yeah, I am loving the theme of this box. I thought I would see more neon, though. YESSSS Lisa Frank!! That Different Dimensions polish is giving me life! What a wonderfully nostalgic box!